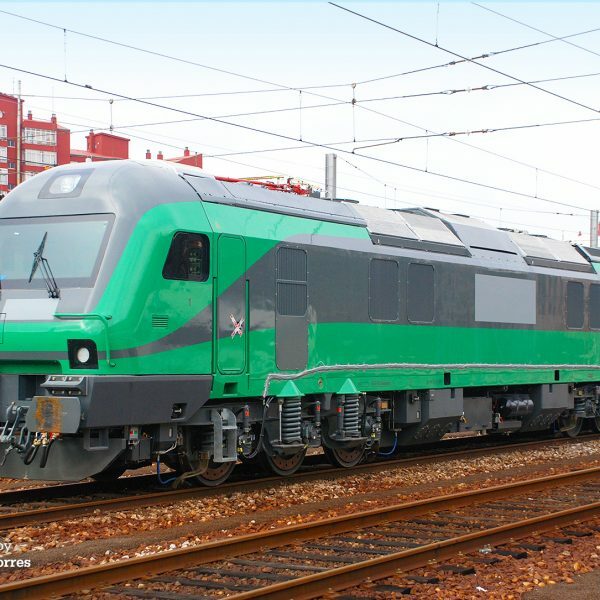 In October 2007, the Spanish manufacturer Construcciones y Auxiliar de Ferrocarriles (CAF) published the first information on a new locomotive concept: the Bitrac. The Bitrac is a two-engine diesel-locomotive with additional equipment to run on 3kV DC catenary systems. First customer for the Bitrac was Ferrocarriles del Suroeste SA (Fesur) from Spain. It was an open access operator, founded in 2007. Both Grupo Alfonso Gallardo and Gea21 owned 50% of the shares. Fesur however never got to use the new machines, that were fully authorised for Spain in 2010. CAF then kept the locomotives and started to hire them to Comsa Rail Transport, later renamed as Captrain España. In 2018 the nine locomotives were sold to lease company Beacon Rail. Captrain España remained the lessee.